Dr. Mark Ignatius is a fellowship trained interventional physiatrist specializing in the diagnoses and treatment of spine and musculoskeletal disorders. He has a comprehensive medical approach and offers a full range of care for patients with a focus on non-operative treatments and minimally invasive procedures. He has extensive fellowship training in diagnostic and therapeutic spine interventions including epidural injections, facet injections, nerve blocks, nerve ablations, soft tissue and joint injections, triggerpoint injections, chemodenervation, as well as neuromodulation (i.e. spinal cord stimulation). Dr. Ignatius did his residency training in Physical Medicine and Rehabilitation at the UCLA/ WLA program in Los Angeles, CA followed by Spine Fellowship at the UCLA Spine Center in Santa Monica, CA. He got his undergraduate degree at the University of Pittsburgh followed by medical education at LECOM in Pennsylvania, where he graduated with honors and was elected to the Sigma Sigma Phi honor osteopathic medical society. 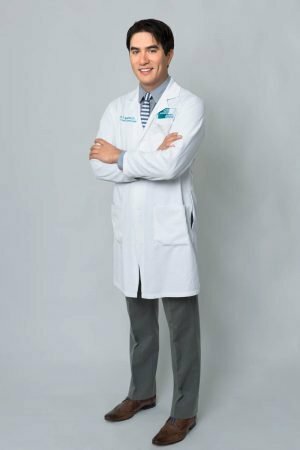 During his residency and fellowship training he was active in research focused on non-operative spine treatments as well as neuromodulation (i.e. spinal cord stimulation), and had several articles published. Dr. Ignatius lives in San Francisco and has interests in performance medicine, as well as music, art, and the outdoors.